Last night we had dinner with Looper friends Ron & Eva in their 5th wheel RV. It was very spacious. They had just finished a hammered dulcimer concert in Key West and are now heading back slowly to Tennessee. I took my GPS with me on the cruise yesterday and plotted our track on Google Earth. 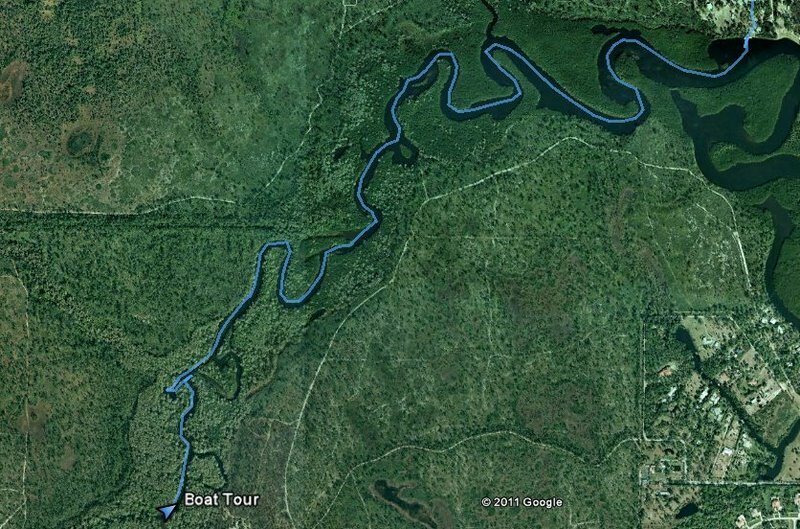 The cruise was 4.6 miles one-way to the end of navigation on the Loxahatchee River. 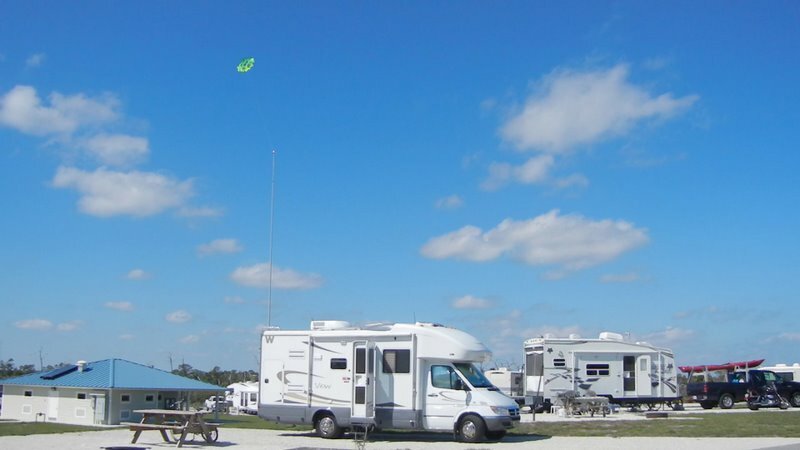 Today the wind was just right for kite flying and our box kite from the Outer Banks stayed up for most of the afternoon tethered to our collapsible flag pole we got last summer at the Winnebago Grand National Rally. 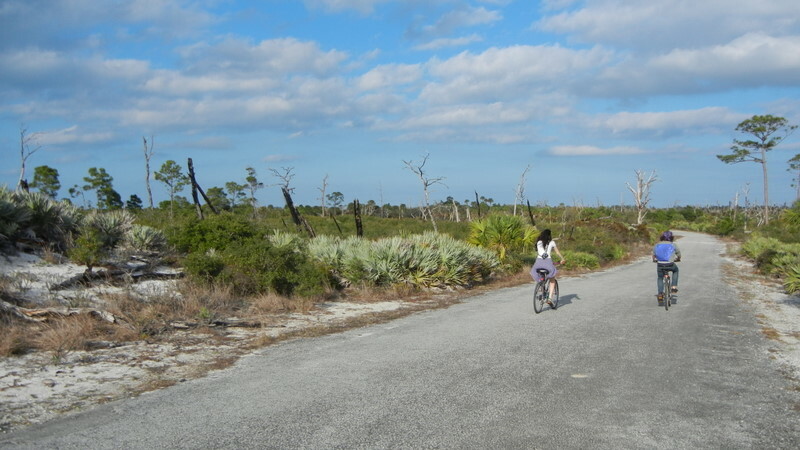 I took a bike ride today on the "Off Road Bike Trail". 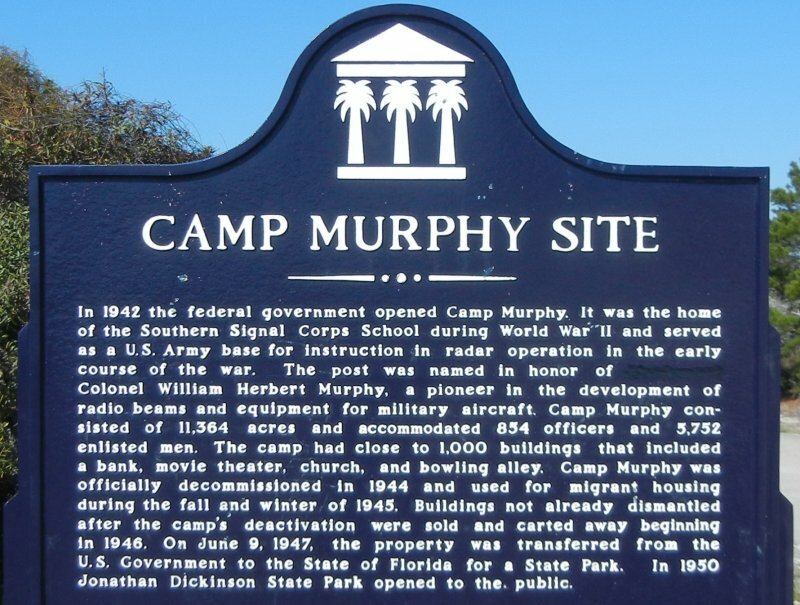 It turned out to be the old 1940's roads when the park was a military training camp for radar operators called Camp Murphy.